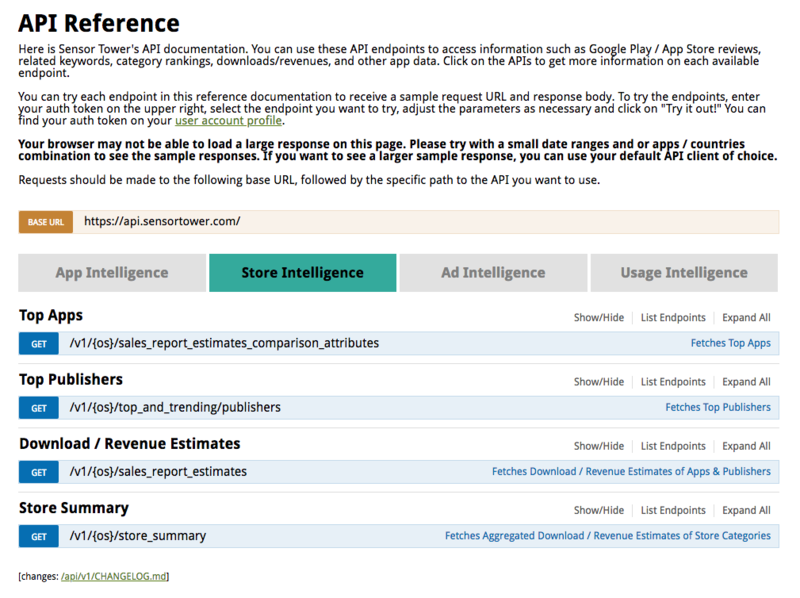 Sensor Tower has a full API Documentation page for all data points within our Store Intelligence product. You can use these API endpoints to access information such as downloads, revenue, and other app data for any app. Click on the APIs to get more information on each available endpoint. You can try each endpoint in this reference documentation to receive a sample request URL and response body. To try the endpoints, enter your auth token on the upper right, select the endpoint you want to try, adjust the parameters as necessary and click on "Try it out!" You can find your auth token on your user account profile.